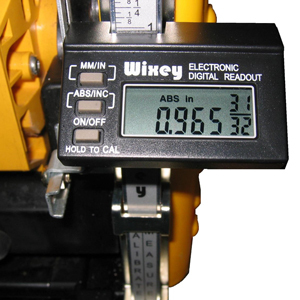 Keep close tabs on the position of your router lift with this clever remote gauge.Accommodates vertical or horizontal setup. 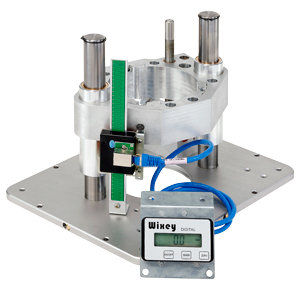 Positional measurements from 0 to 6"read out on a large LCD display in standard, metric and fractional inch modes. 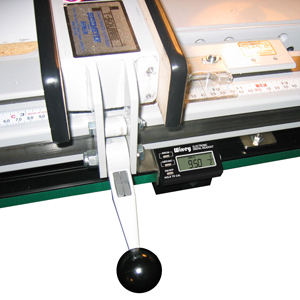 Displayis connected to the gauge by a 4' wire and features a platform and two rare earthmagnets for mounting on your table surface. 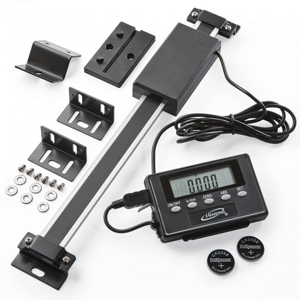 Includes vertical, horizontal and slidermounting hardware.